Shocking News! 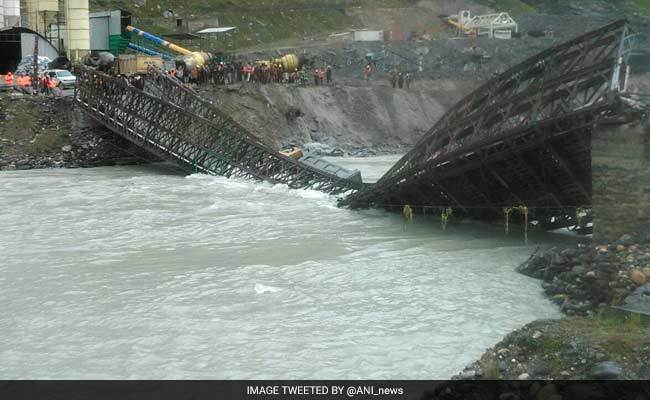 Himachal Pradesh Bridge Near Rohtang Tunnel Project Collapses :- On Monday, a Bailey bridge of Rohtang Tunnel project collapsed when a truck loaded with material was passing through it but there was no casualty in this incident. 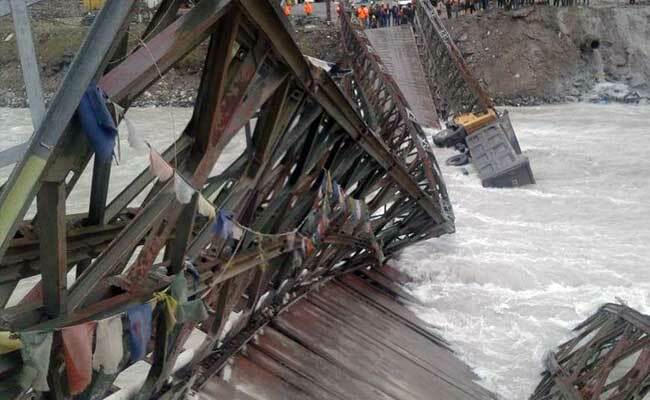 Chief Engineer of Rohtang Project – Brigadier D N Bhatt said that the Bailey bridge suddenly collapsed but there was no loss of life. This bridge provides approach to the tunnel at the north portal near Telling village at Sissu in Lahaul and Spiti. He added that the truck with materials fell into a ditch. Noting the progress of work would not be hampered, he said that the truck would be salvaged and the bridge would be restored in next four-five days. A bailey bridge is a temporary bridge which is made of lattice steel designed for rapid assembly from pre-fabricated parts, especially used in military operations. The tunnel is being constructed at Rohtang Pass to provide round the year access because Rohtang Pass remains close for 6 months due to snow. The tunnel which is 8.9 km long will connect Manali with Lahaul and Spiti Valley. It will reduce the length of Manali-Sarchu- Leh road by 46 km. The south portal of Rohtang tunnel is located at a distance of 25 km from Manali at an altitude of 3,060 meters. While the north portal of Rohtang Tunnel is located near Telling village at an altitude of 3,071 meters.